Above: Conversation after ESL Bible Study: Erika, Edina and Timi. As we continue to survey the Bible, visiting major highlights leading up to the Messiah, we finally entered the New Testament and read about the birth of Jesus Christ, and His being baptized by John. We considered the question, “Why did Jesus come to be baptized in John’s baptism of repentance if Jesus was without sin?” I was thankful to see God helping each of them see Jesus amazing work of identifying Himself with us (sinful man) through this baptism. We also discussed the symbolism of this foreshadowing his coming death (going under water) and resurrection (coming back out of the water) to secure the salvation of those who would repent and believe in Him. It seems as if we have been in and out of the doctors office continuously over the past month. 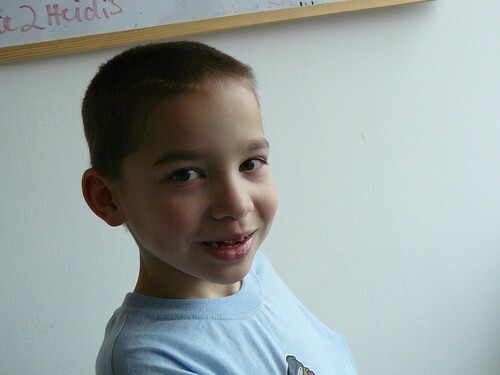 After morning Bible study with our students, Allen headed into Budapest to have outpatient surgery to remove a small abnormal growth on his chest. The most pain was experienced with the few shots given to numb the area. The surgery was completed in an hour and Ben was even able to sit in the same room and glance up now and then to see how dad was doing. The doctor said that she would send the growth in for lab work just to rule out any forms of cancer. This surgery opened up an opportunity with the doctor to talk about where we lived, what we did and what denomination we belonged to (very important to know with Hungarians with the proliferation of various cults in Hungary). 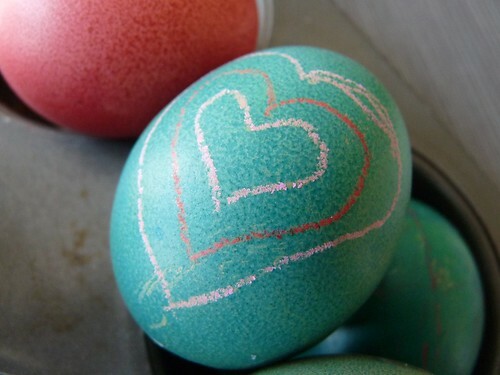 She said, "I've noticed that the Baptists, when listening to them on the radio, seem to be more people-oriented and less removed with religious traditions.” She added that when traveling with her family over Easter, she was able to listen to 'the Baptists' on the radio. She said,"The teaching had something for everyone". I told her that we believed that God's word is relevant for today for all men, and we believe it is living. I also added that traditions are only valuable when believers understand why they exist. Once they become vein tradition, an outward practice disconnected from an inward heart attitude of worshipping God, they are useless. Once traditions begin to be used as righteous outward camouflage over a cold heart, God is utterly offended. I was thankful for her curiosity and for an open discussion about faith in Jesus. Above: Kira striving to be a pro wrestler as she body slams Benjamin on our their favorite play area... our bed. Above: Elianna and Kira making their best cute squooshy faces. 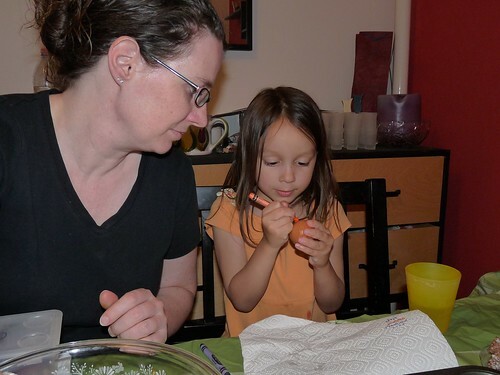 Sharon has been busy doing research on celiac disorder (that Elianna was just diagnosed with). It is currently quiet exhausting finding the ingredients, ‘wheat’ proofing parts of the kitchen, and making dishes that Elianna (and I) don’t turn our noses up to. Of the many things that Sharon has tried, there have been a few hits... but unfortunately most of them are of the sweet ‘desserty’ nature. It has been tough to find a replacement for bread, pizza dough and even pancakes. 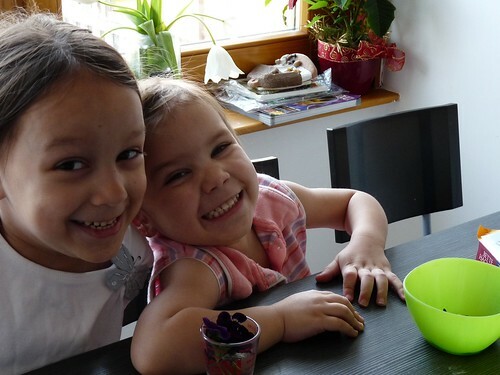 Please pray for Sharon as she seeks to bless Elianna with delicious food, even on a restricted diet. Above L to R: Miki, DezsÅ‘, Marcsi, Erika and Julika. Some of you may recall that Julika (far right) has been a major contributor to our launching and continuing a summer VBS for four years now. Last year Julika spent most of her time in chemo therapy, battling cancer. 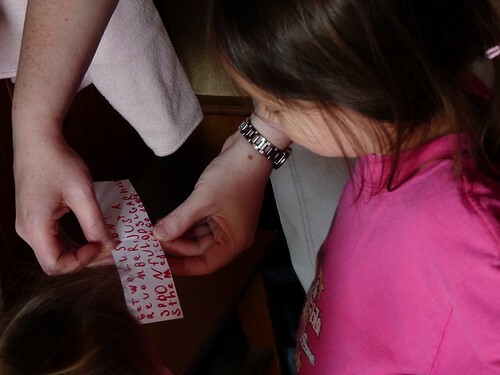 Even in that time, she developed Hungarian curriculum for our VBS. She is a precious Hungarian widow with three children (two who are a few years away from finishing school). Once again, Julika, with the help of her daughter Mani has developed the theme of teaching children how to pray for this year’s VBS. We were thankful to spent some quality time together on Thursday working out the details as the camp quickly approaches. 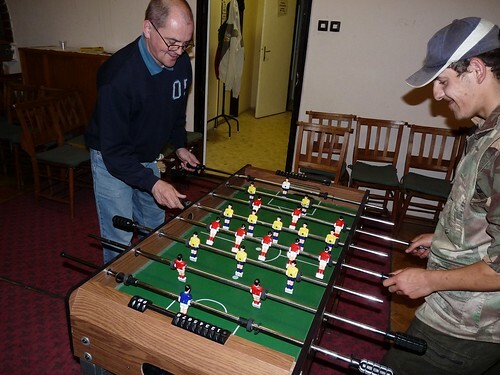 Above: DezsÅ‘ battling János in foosball. 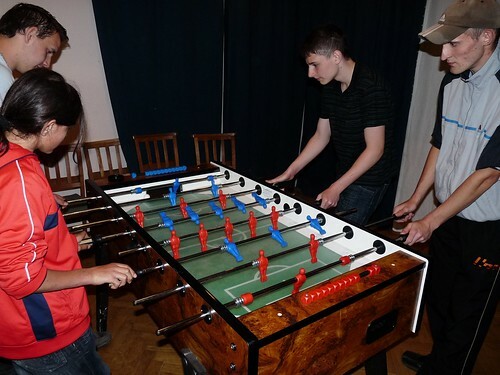 DezsÅ‘ did an excellent job leading our discussion time later in the evening with around 15 teens. It is often very hard to carry these teens through a stream of thought as they are quick to be distracted, crack jokes or just lose interest. God was gracious to to help them pay attention and to be involved in the discussion. As we pushed them to consider if there was truly anyone they could trust in this world, the reality surfaced that there really was not. One of the more serious teens, said, “I could trust God.” This allowed us to explore why we really could trust God, and how Jesus Christ proved His utter commitment to love us by dying on the cross for our sins. We can trust Jesus. As I was out repairing a loose latch on my car, I heard a cheerful greeting from my neighbors a few houses down who happened to be out together on their porch. After finishing the repair, I walked over to greet them and was quickly invited into their newly renovated house. Sharon and I have had off and on conversations with our neighbor Zsuzsa, who happens to be the sister of our old landlord Endre. Zsuzsa’s daughter Timi is the local hair stylist. As I sipped orange juice in their kitchen, Zsuzsa shared with me some of their recent hardships with her husband being laid off of work. Zsuzsa just this past year went through chemo therapy and gave God praise for helping her and healing her. From our past conversations she knows I am a believer, and she tells me that she is too, however she is not an attender or member of any local church. Tragically, Zsuzsa lost a daughter who was struck by a car 12 years ago in our town. She said that she still mourns the loss and just doesn’t understand why it happened. She would have gladly taken her daughter’s place that day. She also shared about how she often read the Bible and each time she opened it, God seemed to be telling her that she needed to forgive and not hold a grudge, nor seek revenge as some in her family wanted to do. Zsuzsa, with God’s help, was able to forgive. As we discussed suffering and loss, I was also able to share some of the unexpected things that had happened to us and how I processed them with the Lord. Before leaving, I prayed for Zsuzsa and Feri and saw that she was very encouraged by our conversation and prayer. I encouraged Zsuzsa to seek out Christian fellowship and not to live her faith alone. Maybe someday she will take me up on my invitation to our church. 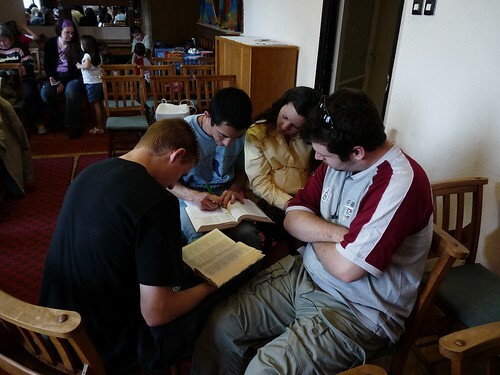 Above: Beginning service in small groups studying Psalm 103 and finding characteristics of God that are praiseworthy. 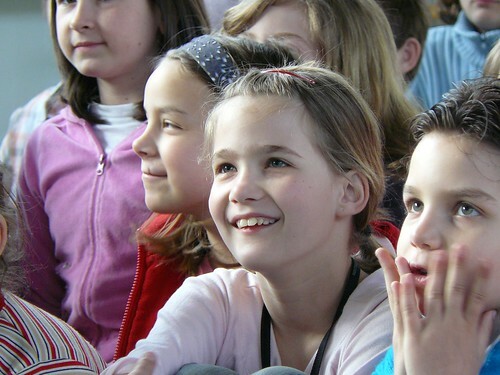 Since Sharon and I taught children’s Sunday School, we didn’t get to hear the message. Miki reported afterward that it was very encouraging. He said that at the end of service the church stood, holding hands and allowed a time for people to come forward with specific prayer requests. We praise God for His work in the lives of each member and ask that you would continue to pray for the younger believers to mature in their faith and work-out their faith in important decisions that are currently before them. 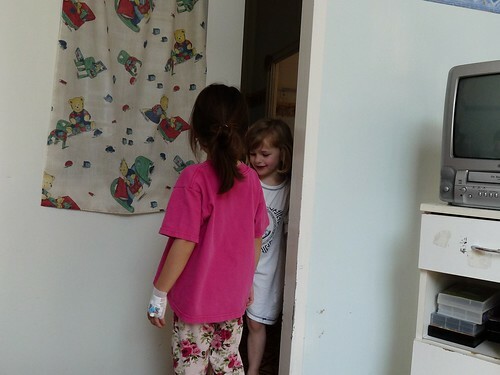 Above: Elianna slowly waking up after her biopsy today to determine for sure if she has celiac disorder. What are the chances of running into one of our English Bible study students 50 miles away in Budapest at the same hospital we took Elianna to for her biopsy today? Pretty slim. What are the chances that this student would have an appointment with the same doctor for the same type of operation today for her child. Even more slim. What are the chances that we would end up in the same waiting area and the same two bed recovery room with her daughter and our daughter. Just not fathomable. But, accounting for the sovereignty and complex plans of God, very understandable. It has been my prayer for Elianna's healing. Through prayer, I have also submitting this sickness to God to use for His ultimate glory (I know His glory always maintains the best outcome for His children in His timing). To see our student Klári with husband Tibór and her daughter Réka in the waiting room today was an answer from our Father that this sickness is already being used in a plan that I could not fathom. 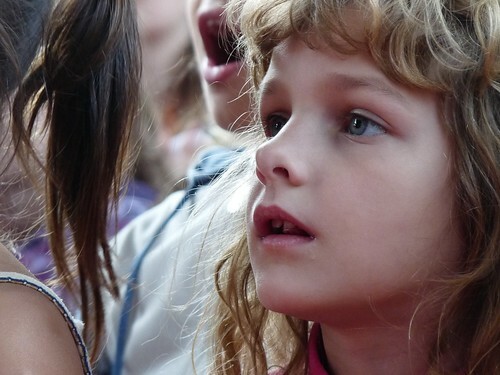 Above: Klári and Tibór’s daughter Réka. Today, it was my hope that the doctor would report that amazingly there were no signs of celiac. This was not the answer we received. 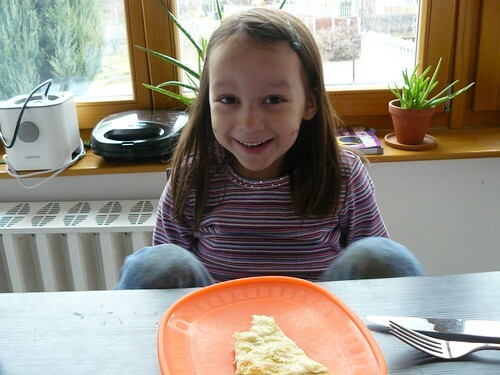 Instead, it was confirmed that Elianna has celiac disorder which requires an adjustment to diet for life. God has led me to John 11 as I process these things. Jesus said that Lazarus' sickness would not lead TO death. As I thought about it more, it was clear that Lazarus' sickness would lead THROUGH death, but it was not the end destination. This is true of all sickness for the Christian. It never leads TO death as an end destination, but is rather more like a dark tunnel that we swiftly pass through on our way to life everlasting. Jesus clearly and purposefully waited two days, even though the news He received was urgent. You can hear the affliction in Mary and Martha's voice when they both say to Jesus, "If You had been here, my brother would not have died." (John 11:21,32) We react the same way when affliction is not quickly removed. We assume that it could never be God's will that affliction in a believers life would be allowed for a time. But it is evident in Mary, Martha's and Lazarus' life that it was. As a parent, I feel any affliction in my daughter's life is urgent. It requires an instant solution. However, as seen in John 11, Jesus was not rushed into healing action by the cries of Mary, Martha or the suffering of Lazarus, but He clearly had compassion upon them, evidenced by His weeping with Mary (vrs. 35) and coming to them. In contrast to being rushed, I also noticed that Jesus was not slowed down in His timing. When telling His disciples that He would be returning to Judea to 'awaken' Lazarus, they said, “the Jews were just now seeking to stone you, and are you going there again?” (vrs. 8). Jesus was not slowed down in His timing, nor rushed in His timing. By allowing an extension of affliction and even the death of Lazarus, Jesus was perfectly on track to reveal to the most potent degree that He was the resurrection and the life. This sickness, suffering and death was a dark tunnel for Mary, Martha and Lazarus. But it was not the end destination. Jesus said a shocking statement to His disciples in verses 14-15: “Lazarus has died, and for your sake I am glad that I was not there, so that you may believe..." Jesus was glad that He was not there to offer instant healing. Why? For a greater impact of a perfect plan that He was carrying out for His glory and for the sake of building other's faith. I view this as evidence that followers of Jesus may also experience times of extended affliction or sickness, not because of a lack of faith (vrs. 22)...not because of a lack of love on Jesus' part (vrs 5). ...not because of a message not being heard through prayer... BUT because Jesus has a greater purpose in His timing that involves revealing His glory and strengthening the faith of others. Affliction can also be a state whereby we are more able to experience and wholeheartedly pass on to the afflicted the supernatural comfort of God. This type of comfort is heavenly and not worldly. It is not a comfort derived from a lack of problems which often leads us to drift farther away from God. It is a comfort that is received in the midst of problems that draws us closer to God and makes us more hungry for His provisions and for the hope of the new heavens and the new earth (2 Peter 3:13). Elianna's sickness has given Sharon and I an unexpected opportunity to build a friendship with Klári and her husband Tibór at the hospital today. We have been praying for Klári for months and she has become more open as she is a regular attender of our English Bible study. It was God's desire that our families would sovereignly come together in the midst of this shared affliction in a way that we could encourage one another and build a more meaningful relationship that we hope someday will lead to them coming to know Jesus Christ. No one likes affliction, but it is a reality for Christians to experience in this fallen world. There is no designation in the Bible as to how long these dark tunnels will last. Some will be like a flash as God graciously brings quick healing, others may be drawn out, even going through death. At the end of each dark tunnel, Jesus will be revealed as the one that never left or forsake us. Jesus will be clearly seen as the one that was working for the benefit of His beloved children. Jesus' timing will be recognized as right when we gain a greater understanding of His master plan. He will be exalted as good, as the resurrection and the life. Thankfully, God offers supernatural comfort in affliction and the promise of a destination of ultimate healing and eternal life after a 'momentary' time of being in this dark tunnel. It is fitting this Easter for our family to praise Jesus as the resurrection and the life. May He carry out His perfect plan for Elianna and our family, and for others like Klári and Tibór that our lives intersect with for His glory. 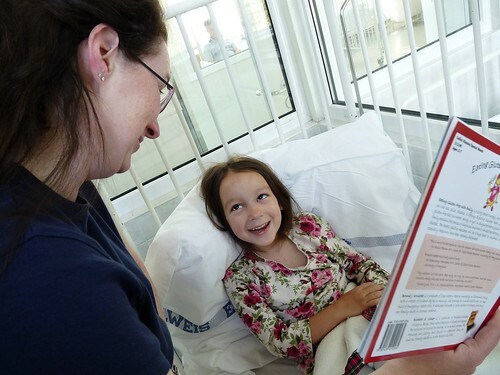 Above: Praise God that Elianna had no complications with her biopsy and regained her strength (and smile) quickly. We are officially now on a totally gluten free diet for her. The labs will come back in a couple of weeks, but it is just a formality since the doctor could actually see in her small intestine the damage that has been done from celiac disorder. Please pray that we can come up with lots of healthy, creative and tasty things for her to eat! Ben's biopsy is scheduled for May 8th (exactly 4 weeks from today), so please be in prayer for him as he enjoys his last month of gluten and prepares for the big diet changes ahead. 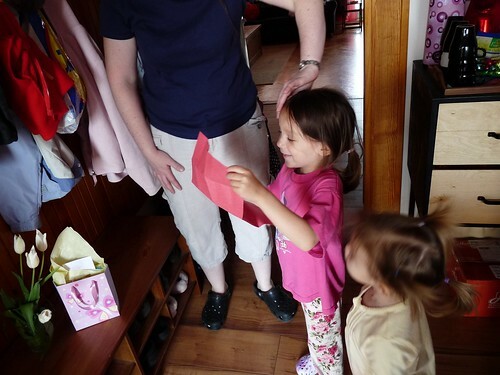 Above: Teammate Brenda watched over Ben and Kira and made sure to have flowers and gifts for Elianna when she walked in the door. 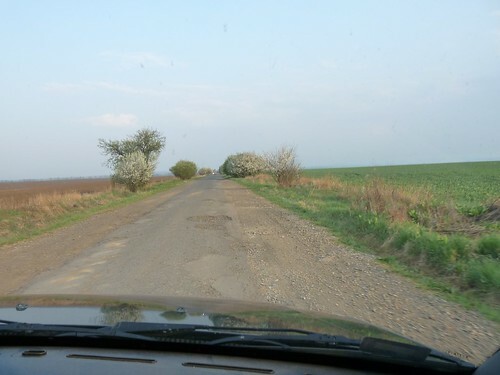 Above: After meeting at 7:00 am for prayer, our team ventured through the back roads of Heves County. Because of the constantly shifting temperatures this past winter, the roads are a mess, and our vehicle took a bit of a beating on the way. To take our minds off the bumpy roads, we always enjoy seeing pheasants grazing by the side of the roads and large hawks every few minutes. Above: Because of recent changes in school structure and government funding, we had a smaller audience today in Egyházasdengeleg. Some of the teachers have had to leave this past year, and many of the older students have been scattered to other schools in the area. Even still, we saw kids that we recognized from previous years. 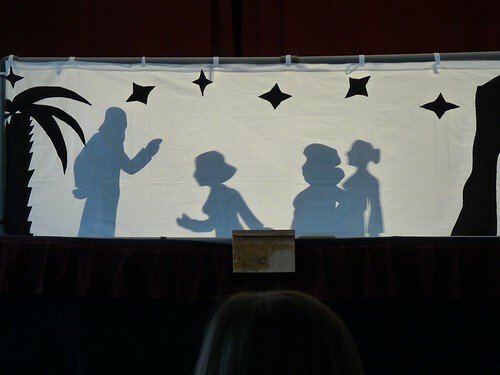 The new children from preschool, enjoyed seeing this Easter puppet show for the first time. 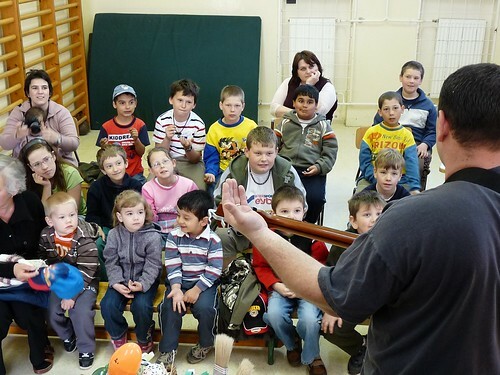 Above: Miki getting the kids ready for the show as they imagine finding a large dinosaur egg and painting it for Easter. Above: We not only do this show for the kids, but we believe the teachers hear the Gospel through this as well. After the show, we give the teachers a gift packet with evangelistic material inside. 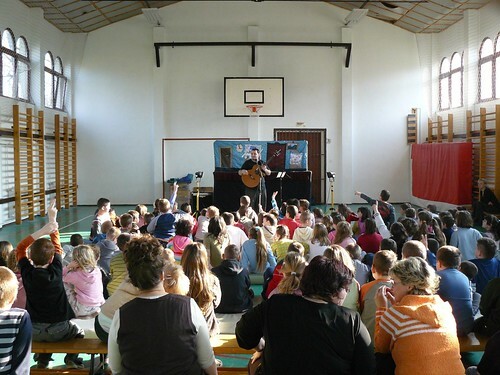 Above: We were warmly greeted with kisses on the cheek by the teen holding the guitar in Jobbágyi. We found out last year that he is also a believer and gave a report this year that younger kids are coming to believe and follow Jesus in this town. The kids above left accompanied him and have families that have also been saved. 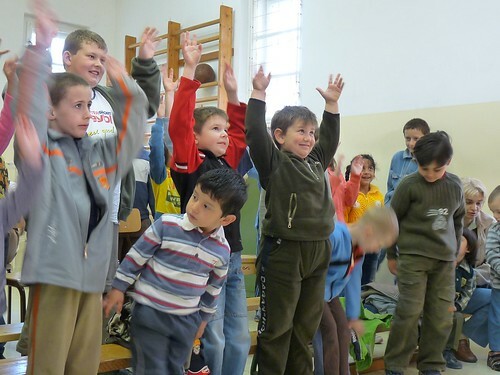 Praise God for work he is doing in Jobbágyi! 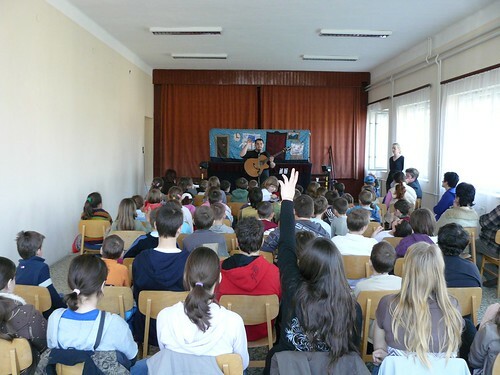 We are very thankful for your faithful prayers and support to allow us to continue ministries like these in Hungary. 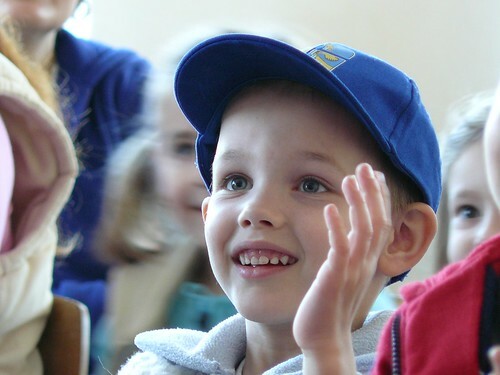 As we sow seeds of God’s truth to over 1000 kids every Easter and Christmas through this ministry, a new generation will hear a clear presentation of the Gospel. Our prayer is that many of these seeds will take root in their hearts and that they would all at once come to put their faith in Jesus Christ as their personal Savior and Lord. 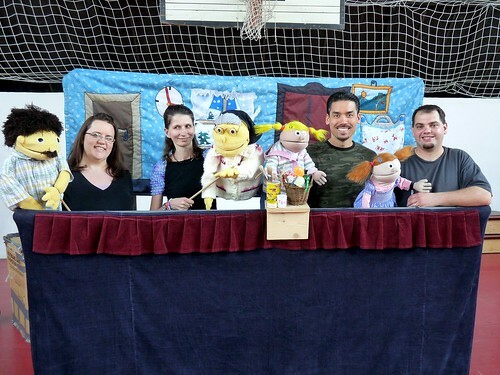 Above: Easter Puppet Team, Brenda, Hugi (who-gee), Allen and Miki. Above: As the kids made their way in, one blurted out, “Ohhh, I love it when the Puppet Show comes.” We are very thankful that this has become such a yearly event that the kids have come to know us by name and know more and more about the birth, life, death and resurrection of our Lord Jesus Christ. Above: After stealing a paint brush from a friend, the end of our show ends with reconciliation. A friend who was angry at being stolen from chooses to forgive, and the friend who stole also asks for forgiveness and brings a gift to replace what she stole. Above: Teammate Erika presenting the wordless book with colors that symbolize different aspects of the Gospel message. We usually have a good 45 minutes between shows to pack up and get to our next destination. Today, we had 15 minutes. I am thankful for the team’s work together to know what to grab, where to put it, and how to set it up in record time. 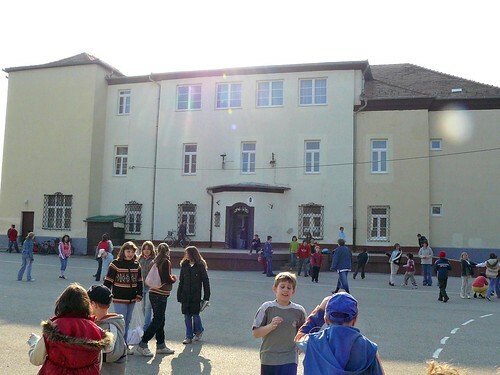 We were able to be at the next school (LÅ‘rinci) and set up without any problems. Above: With the number of kids in this room, we always expect a little bit of chatter at the more serious parts where some get distracted. We praise God that the entire room was quiet when serious matters were being discussed about the Easter story. 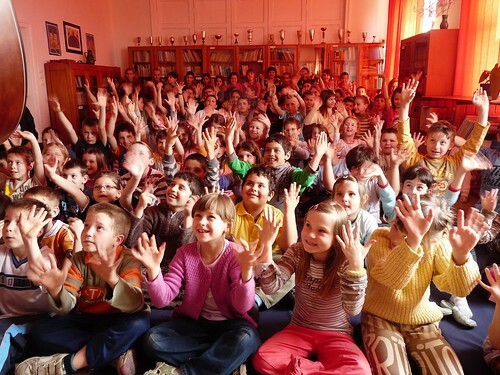 The kids were clearly paying attention throughout the whole show and also joined in clapping and singing at the end. 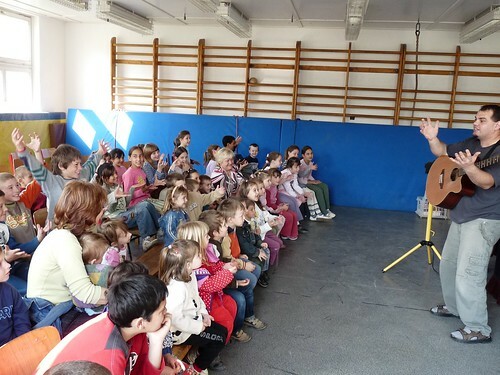 Above: Unfortunately, we couldn’t share the wordless book in this school because of time constraints, but the magazine and CD we distribute have clear presentations of the Gospel on them. It is our hope the that kids will play these things over and over again at home and go through the magazines with their parents. 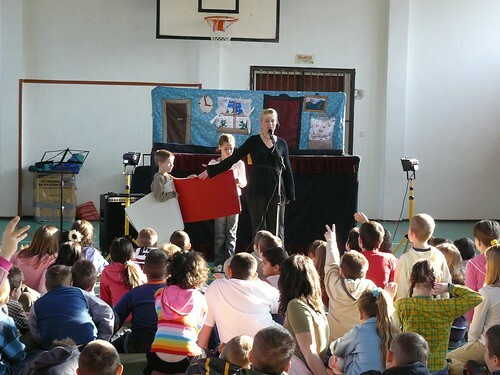 Above: Those that came to the show in Zagyvaszántó knew about the show by word of mouth and posters. Unfortunately, we have been denied an opportunity to do the show in the public schools. Instead, we use the local community center after school hours. The town was so resistant to the show that they didn’t allow us to put up poster invites in the preschool. Even still, there were a handful that came, and our kids also attended since this town is just around the corner. Overall, it was a great day and God is giving us the spiritual and physical strength we need to finish well. I was thankful to see teammates laughing together and just having a good time being together in the midst of serving. 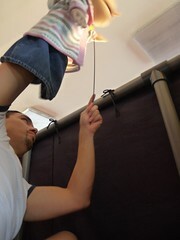 Tomorrow is our last day of our Easter Puppet Ministry. Please keep us in your prayers! 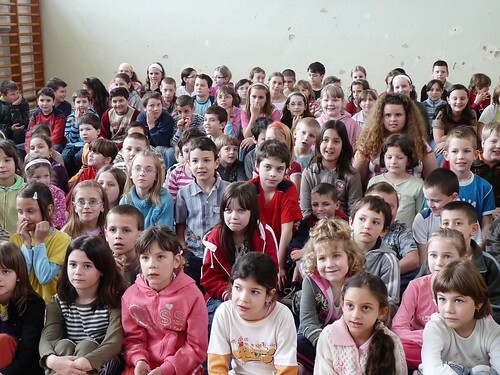 Above: The local community center in Kálló quickly filled up with over 200 kids from combined classes in town. 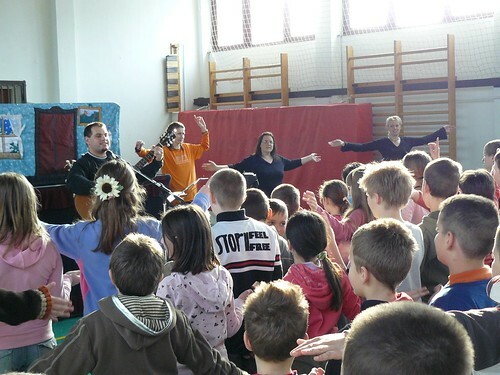 Above: It is always encouraging to see teachers joining in with singing, which is definitely not found in the majority of schools. One of the songs we chose to sing this year has also been used in years past. It talks about how Jesus died on the cross for our sins, how he suffered, how on the third day He rose from the dead, how every knee will bow before Him, and how we received new life in Him. 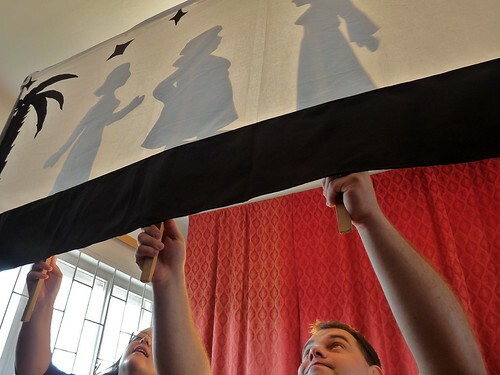 In this year’s presentation, the puppet show ends with the puppets singing this song as well. We were encouraged to hear some of the youngest kids in the front row joining in with the puppets. 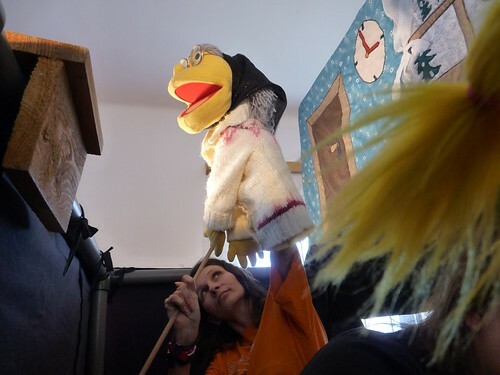 We would appreciate your prayers in our final two days of our Easter Puppet Ministry which are faster paced and filled with more schools per day! 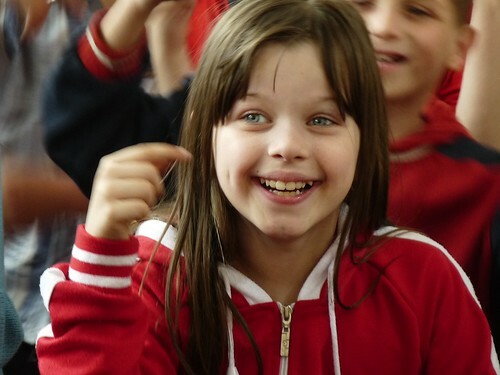 Above: Soon after the kids entered the room, I recognized Mercedes (above) who attended our VBS last year. 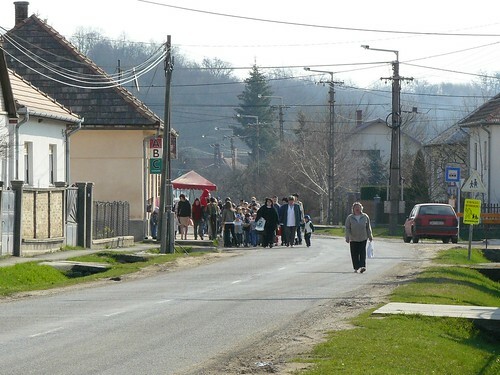 Thankfully, the majority of the villages and small towns we perform our Easter Puppet Show in are relatively close to PetÅ‘fibánya. I asked Mercedes if she was planning on coming again to our VBS this year and she excitingly said yes. Her friends sitting close by began asking about what we were talking about which gave her an opportunity to promote our camp. After the show, we included VBS brochures with the CDs and magazines we distribute. 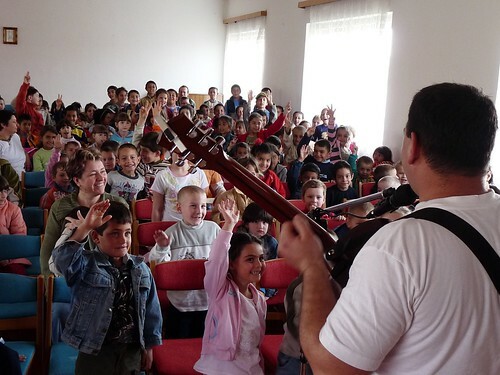 Above: We praise God that the kids were attentive when Erika explained the Gospel through her book without words. 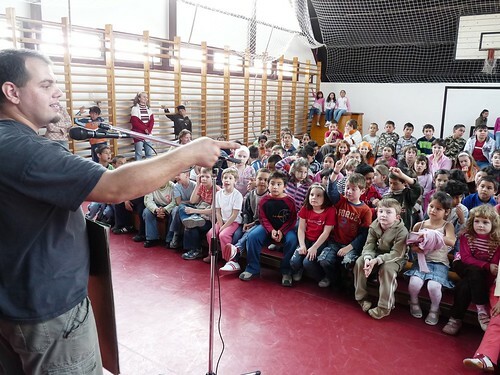 Above: The kids were very eager to receive their CD and magazine after the show. Sadly, the teachers refused to accept the gifts (evangelistic books) we brought specifically for the teachers. This is the first time this has happened and reveals a close mindedness to the Gospel. Above: Our next desitantion was the town of ErdÅ‘kürt. 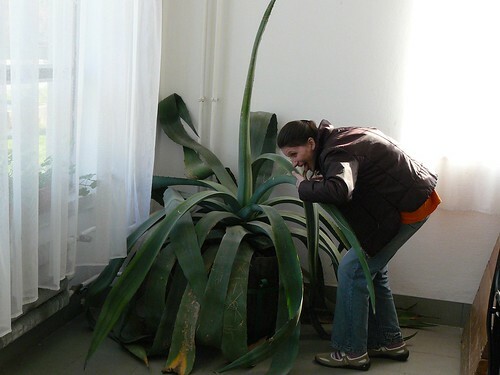 We couldn’t believe the size of this monster aloe vera plant in the community center. Hugi is taking a bite just for good health. Above: After setting up, we awaited the kids as they walked from the public school to the local community center. 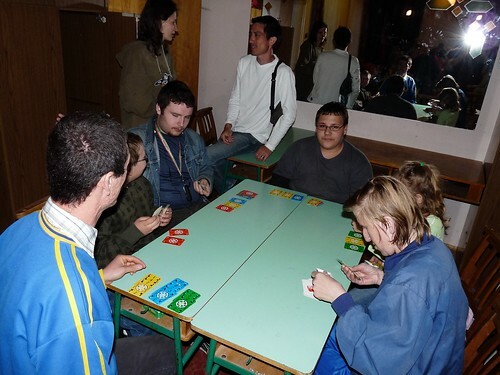 Above: We had a full house, as not only the preschool and younger kids came, but teenagers as well. 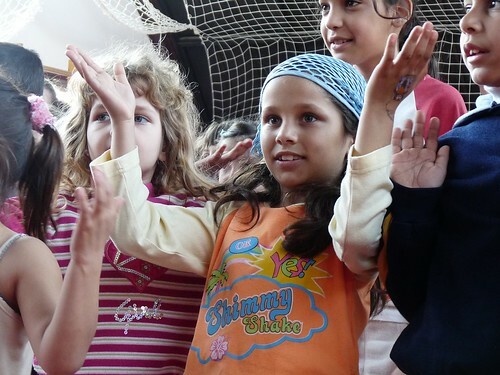 Thankfully, the puppet show, teaching and singing is done in such a way that kept their attention as well. One of the first questions that Miki asks when we begin the show is whether someone knows the true meaning of why we celebrate Easter. A teen (above with hand raised) in the back row, said, “Because Jesus was raised from the dead!” The teens in ErdÅ‘kürt seemed to enjoy the presentation as much as the kids, dancing with the motions to our songs and giving serious answers to serious questions. Above: This was a great group of kids and teachers. 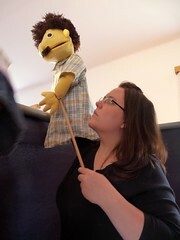 One teacher came to us after the show and donated $45 toward the puppet ministry. We have never experienced that! We will apply his donation to the CDs and magazines we distribute in each school. If you would also like to donate to help us cover the cost of over 1000 CDs and magazines, please contact us. • Team is unified and all shows have been presented without distractions or technical problems. • Kids are paying attention to the message of forgiveness in the show and the Gospel message given after the show. • We have already received many invitations to return to perform our Christmas show. God has maintained good connections with the teachers. • Weather has been beautiful and traveling has been without any problems. • Some on our team are experiencing fatigue from the change of weather, the recent time change and the intensity of this time. On top of that, some are experiencing trouble sleeping. Please pray for renewed strength, and for peaceful nights of rest. • Teammate Brenda was feeling sick today, please pray for healing. Above: Our littlest, Kira, our middlest, Elianna, and our oldest, Benjamin. We have been enjoying the return of more sunshine, a welcome contrast to the dark days of winter here. The house that God has provided for us borders a soccer field. 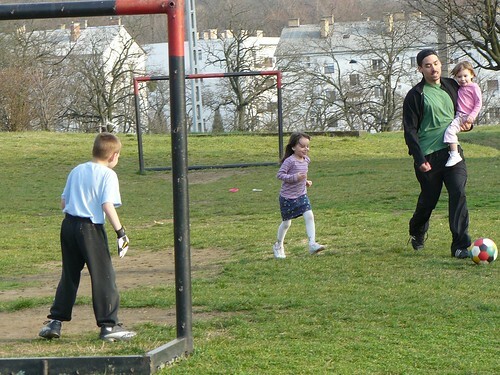 Allen sometimes is able to take the kids out and play a few matches. The neighborhood kids also often come out to join the fun. Elianna just likes to tackle me while I’m trying to score on Ben. And Kira just enjoys the ‘horsie-ride’ while we play. Sharon is usually in the kitchen at this time, busy experimenting with gluten free recipes for Elianna. For those of you who haven’t heard, all signs point to her having Celiac (where the body treats food with gluten as poison and does not digest it). Elianna will be having a biopsy in a few weeks to verify this diagnosis. 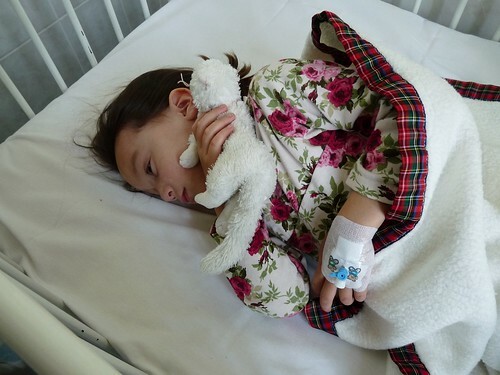 We would appreciate your prayers for healing for Elianna. Every Monday night, we open our home (rather our basement) for an hour of prayer. Most of the time, we cycle through various photographs of those in the church or those we know from various outreaches over the years. For the past few months, it has mostly our core church planting team which has attended with the exception of church members Hugi and teenager Gabi. 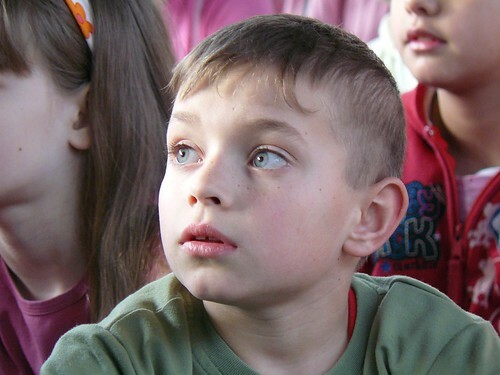 Just a few weeks ago, Ildikó began to attend. She had drifted for years from fellowship, and because of suddenly being overcome with situations that pressed upon her soul, she began coming to us (DezsÅ‘, Miki and Allen) for prayer and advice. 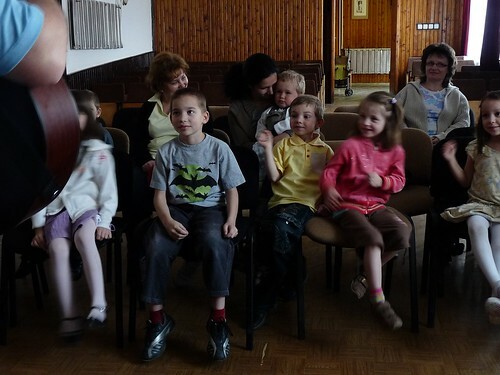 When Ildikó considered her home, she said that it was crystal clear that her home was with our local fellowship. She said, it was through Miki that she first came to know Jesus, and it has been through this church that she has grown. Ildikó has rededicated her life to Jesus and there are clear transformations happening in her heart. Unfortunately, the day after she rededicated her life to Jesus, she was laid off of work (last week). She is being tested to trust in God in this time and to know that He can turn these difficult times into good as she continues to seek Him first and put her trust in Him. She said she recognizes that without this most recent trial she would have continued to drift away from Him and through this, He has drawn her back to Himself. Surprisingly, Ildikó brought another Ildikó K. with her to our prayer meeting. 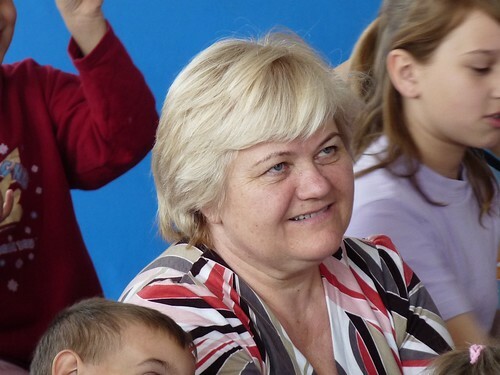 Ildikó K. is the mother of one of the teens in our church that was saved through English camp. Her son was later baptized and continues to grow in his faith. 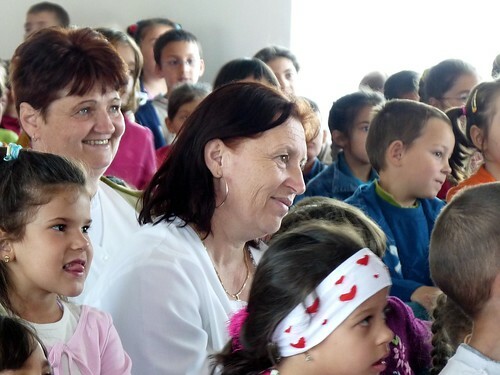 Although making a profession of faith in Jesus Christ, Ildikó K. began drifting away from fellowship years ago. She disappeared in the same manner as the other Ildikó. What a striking sign of God’s grace to see them both walk into our prayer meeting tonight. I encouraged both of them, that we can praise God for his mercy as He has once again drawn them back to Himself. This prayer time served more as a time for discipleship as we discussed topics about forgiving those who have offended us, working as unto the Lord and trusting in God as a faithful provider. 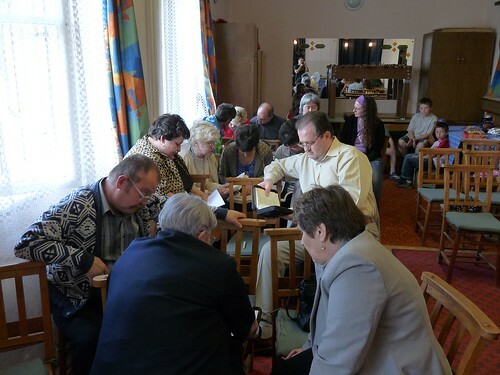 It was a very encouraging time and good to see God's Spirit working in the hearts of both Ildikós, who until recently had fallen completely out of fellowship with God and with us. 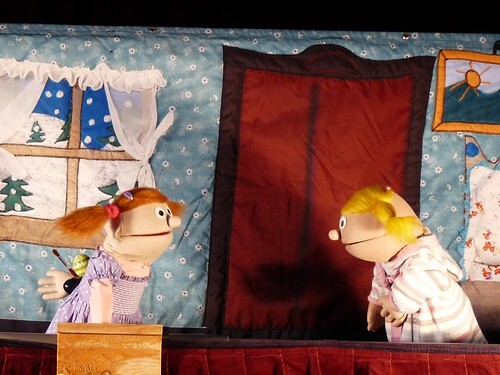 Above: We have consistently received a warm welcome in this town which has invited us to present our Easter Puppet show for the past five years. 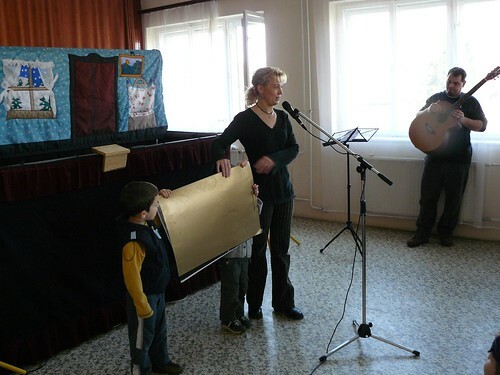 ErdÅ‘tarcsa was so open toward us and Bible teaching that we were invited back a few years ago to hold a children’s day outreach. There is a clearly different atmosphere in this town with the kids as compared to other towns. 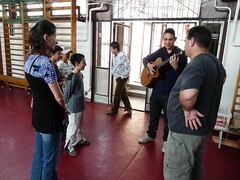 They were quick to join in all the songs, and very attentive when Miki shared the Gospel message. Thank you for your continued prayers. Our team is doing well and continues to experience God’s protection and help as we go out to these schools. We have no shows scheduled for Wednesday and Thursday. We will go out again on Friday. Please continue to lift us up in prayer! Edina came to our study, being outnumbered five to one with believers in the room (teammates and two church members). It was good to see that this disproportion didn’t seem awkward for her in the study time. We discussed God’s provision of His law, and instructions for sacrifice to cover sin. We then talked about the once for all sacrifice found in Jesus Christ. God gave an opportunity to clearly present the gospel and the step of faith in Jesus needed to receive the righteousness of God by faith in His Son. The main point we were seeking to communicate was that the Law is not presented as a ladder that we climb to God. The Law is given to us as a mirror to reveal to us the condition of our heart. We cannot use the Law to cleanse our hearts, but only to get a clear picture of how we desperately need a Savior. At break time I had found out that Edina has a job interview tomorrow. She has been looking for work ever since we started the English Club. I asked her at the end of the study (as everyone else in the room were Christians) if we could pray for her. She agreed with a smile and after praying for her, she was in tears. She was very appreciative of our concern for her and our willingness to pray for her. Would you also pray for Edina? Not only that she would be able to find work through this interview tomorrow, but more importantly for her to be saved by putting her faith in Jesus Christ.